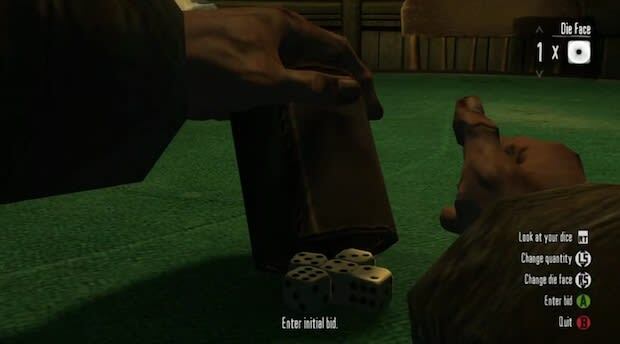 In Red Dead Redemption there may be farms to save, bandits to take down, and women to tie onto train tracks, but sometimes all John Marston wants to do is kick back with a cup and play some Liar’s Dice. There’s plenty of poker to be played too, but there’s nothing that perfects a cowboy’s ice-cold stare than learning to bluff up and down in a game of Liar’s Dice. If the NPCs in the game aren’t up to your standard of play, Red Dead Redemption also lets you take it online with a daily allowance of $200.